Norse Projects is quite a new brand too me only through self-discovery through the helping of my good man’s own love of the brand (especially the shirts). I’ve found my part of the brand. A Danish brand which has made up a man’s closet with the classic staples of shirts, blazers, coats and accessories for the past six years. All within the characters of being timeless made out of high quality materials and yet that touch of creativity. To be all menswear only brand with these qualities over the past years and seasons this extension of the brand is something of a new venture for Norse Projects completely. Launching on the shop floor in its only stores and stockists to norseprojects.com in August is the womenswear Autumn/Winter 2015 collection. 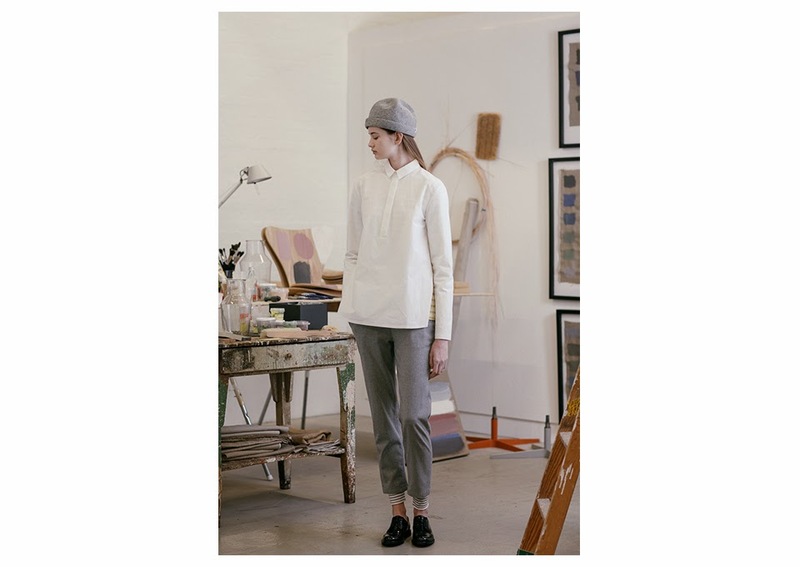 The womenswear collection is based around the brands foundations of modernist aesthetic which results it being the official sister to Projects menswear collection. Typically coming in the Norse Projects colour palette of white and neutrals the shirts come oversized or to the classic shaping and tailoring of the classic boyfriend shirt. The shirt dresses come with same tailoring however, pockets and the shaping of the shoulders flatter a more feminine characteristic to the minimal dressers. Highlights of navy come through the polka dots and a hue of yellow also features across the peter pan collared blouses whilst, the casual and loose materials and clean lines carry out the collections main theme of androgynous. 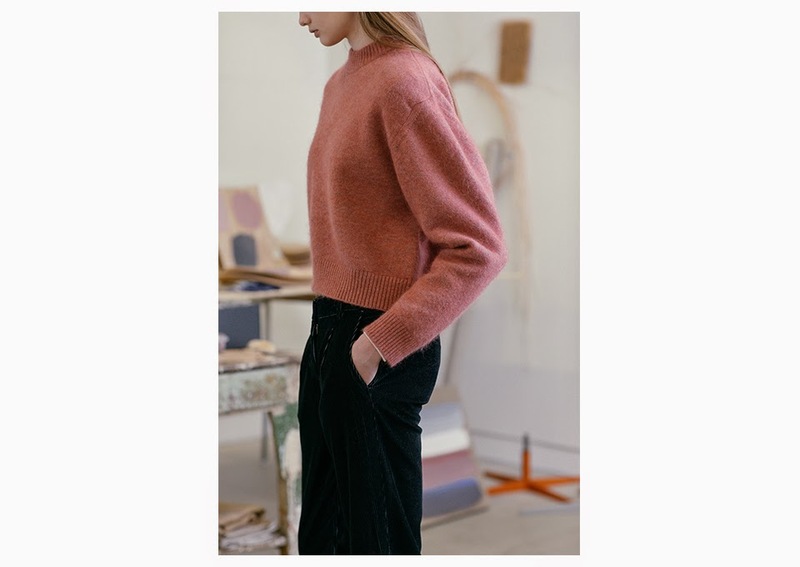 Long sleeved knitted jumpers come in the subtle hue of pink and grey to keep the classic of combination of the shirt and jumper in place. The tees carried the same style of coming long sleeved with Brenton Stripes of navy or the simple coloured blocked tee in a military palette whilst, being an everyday essential the tees added a casual character too the collection. There is one simple black dress which shows that Norse Projects can flatter the female figure. Skorts come with a camouflage military theme with a feminine twist whilst, the skirts are within a knitted texture featuring subtle fronted pleats. Whereas the trousers switch right back to the cuts and shaping of the masculine figure amongst adding a slimmer fitting and piped pleats which run down the side of the trouser legs in the traditional Norse Projects colour palette. To cover up from the winter chills Norse Projects went all out with the main staple of the man closet which is a blazer. This season coming in the formal cut for everyday wearing to the elongated form whilst adding that hand warming detail of pockets to both of the blazers coats which come single breasted which add to the collection. Parkas come with a modern touch for a more casual look. The only accessory of collection is to keep you’re heads warm ladies throughout the winter season which is carried out by the classic beanie. Exploring the line I’ve got to say I will be definitely purchasing one of the blazer coats to be part of my autumn/winter 2015 closet. Overall the collection includes the classic silhouettes, reworked military and work wear pieces to the extent of how Norse Projects has explored the shaping and cuts which flatter the female figure whilst incorporating the brands foundations of a masculine take.